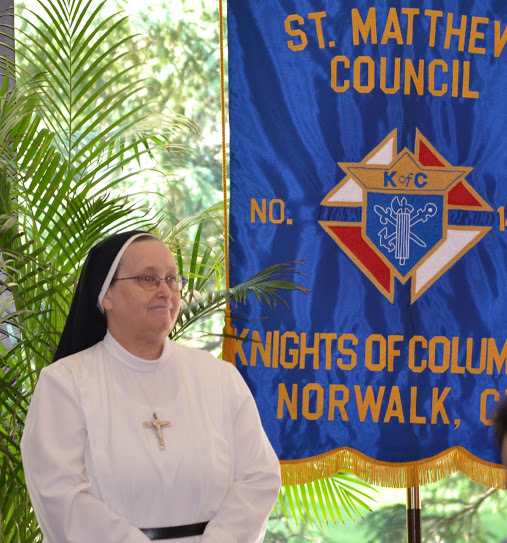 On June 14, 2015, Knights of Columbus Council #14360 (St. Matthew Church, Norwalk) hosted its annual Communion Breakfast in the Masterpool Great Room at St. Matthew. Besides the wonderful food provided by Zody’s 19th Hole in Stamford, the guest speaker delivered some treats of her own. 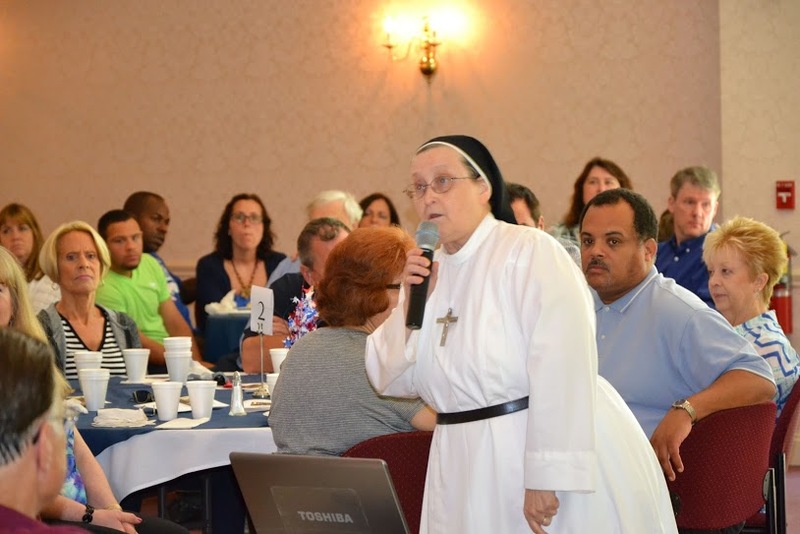 Sister Lucie Monast, SSTV, of Notre Dame Convalescent Home in Norwalk, delivered a wonderful talk on respect and family. Committee chairman Ron Miller was also excited by how well the breakfast went. “Our Communion Breakfast brought together faith, family, youth and community – a perfect day for our St Matthews’s parish Family,” said Miller. Notre Dame Convalescent Homes, Inc. was opened in Norwalk, CT on March 24, 1952, as an extended care facility. The Convent House and Mother Kevin Pavilion were used by the Sisters of St. Thomas of Villanova to care for local needy elderly. Council 14360 and Sister Lucie recently combined to work on a huge project to renovate the chapel in the home’s convent.